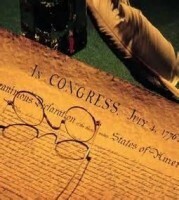 Thomas Jefferson was chosen to construct The Declaration of Independence. In the preamble he wrote, “We hold these truths to be self-evident, that all men are created equal, that they are endowed by their Creator with certain unalienable Rights that among these are Life, Liberty and the pursuit of Happiness.” The social equity gap in our country and across the globe continues to grow every day at a rapid pace, resulting in the increase of disparity among the richest, middle and the poorest classes. This phenomenon is certainly a topic for debate as the gap increases, but what are the questions and the answers to solving this equity gap? How do we create solutions? Do we call on the elected leaders of our country to attack this issue? By calling on our elected leaders, are we asking them to pass new legislation or raise taxes on the rich to supplement the middle and poor classes? Do we seek out the guidance of CEO’s and other successful business men and women? If we call on the private sector, are we asking them to consider redistribution of profits so that the equity gap shrinks? Do we seek out members of academia to take a theoretical approach to the equity gap? If we do seek out the members of academia, what are we asking from them? It seems that, as a nation, we have many options available to us to address the social equity gap. One suggested option to improve the social equity gap was to raise the federal minimum wage to over $10 an hour. This issue had plenty of support and opposition from many sources. Employees in the fast food industry were holding rallies with signs of support for the passage of an increase in the federal minimum wage. There were also a large number of academics and economists who were opposed. They argued that the increase should be done incrementally so that small business would be able to absorb the increases instead of having to make a huge increase and run the risk of decreasing staff or increasing prices. Arguments for both sides are valid and worth presenting. The topic of increasing the federal minimum wage is certainly one way our country can strengthen social equity. A second option that has been mentioned recently by the president was to increase taxes on the wealthy to fund programs designed to strengthen social equity. Raising taxes is a sensitive topic because a majority of people deep down inside do not want to pay any more in taxes than they are absolutely required by law. Is raising taxes on the extremely wealthy to improve social equity fair? I suppose the initial response would be yes because a common thought is that the extremely wealthy have more money than they could spend in their lifetime. A third option that has been presented by President Obama in the last few weeks is free community college to individuals who would qualify. I think that education is certainly a mechanism to strengthen social equity because having a quality education can be the foundation to build a career. An education in any area of study is not the answer, I would argue that individuals need to be educated in those fields are in high demand and are looking to hire a high number of graduates. Having the right education is more important than just having an education. Becoming an expert or technically sound through education will pay dividends in the long run and increases social equity. Creating and maintaining an open dialogue with leaders in the government, academia, business, nonprofits and other participants is necessary to strengthen social equity in our country. Being open to new ideas, even if you disagree with the proposed ideas on an ideological or philosophical level, is pertinent to increasing social equity. Discussing several ideas allows for individuals with varying viewpoints to contribute to the conversation and to the solutions that can be implemented. Improving social equity in our society is above the political divide that so many issues fall victim to when legislation is being proposed or being voted on. This is one issue that the elected leaders, academics, business leaders, government officials and others must put their biases and personal beliefs to the side. Compromises must be made in order to improve social equity and the quality of life for so many people that are on the wrong side of the social equity epidemic. Author: Jeffrey R Zimmerman is a public policy and administration doctoral candidate at Walden University. His dissertation is titled, “The Impact of Supervisor-Subordinate Exchange on State Government Employees.” Zimmerman currently serves the director of processing services within the NC Division of Motor Vehicles. He can be reached via email at [email protected] or [email protected]. Thanks for some interesting views on the subject. Sorry to say that the matter of social equity has become a very highly partisan political issue. Keep in mind what many others have noted: 1)the gap has always existed and has been growing larger for a decade; 2) most of the proposals from elected leaders will do very little if anything to change the gap; 3)for American citizens the real problem is globalization — and how it impacts wages for low and middle income families.